As a former classroom teacher, I love everything “Back to School.” Even as a child, one of my favorite days of the year was when I went with my mom to purchase my school supplies…especially my Trapper Keeper. And while I LOVE saving money on school supplies, I also adore children’s books. So, the money I save by being a frugal shopper has allowed me to purchase some of my favorite Back-to-School books! But, before I get into my ten favorite Back-to-School books, I wanted to let you know that I am teaming up with some of my amazing blogger friends as part of a “Back to School” series! 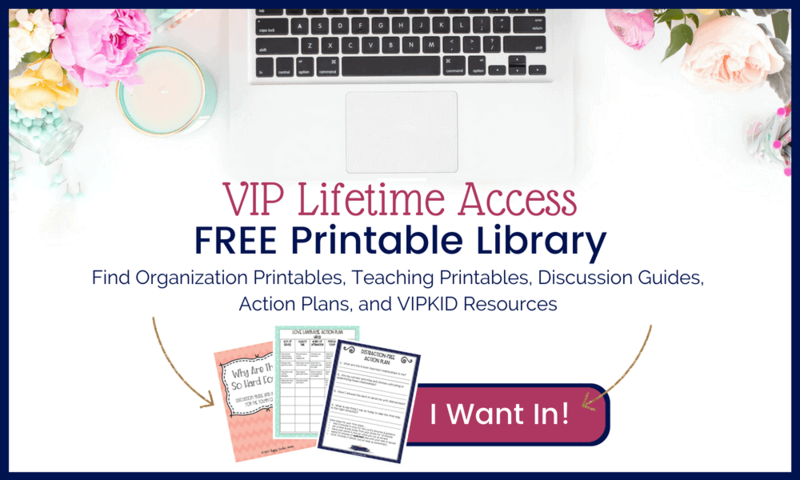 You’ll find helpful hints, great ideas, printables, and freebies just for you! I will link all of the posts at the end, so be sure to stick around. Trust me, you’re going to want to read EVERY. SINGLE. ONE. Over the years, I’ve read thousands of children’s books. There are just so many amazing stories, and they cover every topic imaginable. But even with the thousands I’ve read, only certain ones have become favorites. Upon closer examination, I realized it’s because they resonated with me on a much deeper level. That’s why I decided to compile this list of ten unconventional Back-to-School books. They address issues like bullying, self-confidence, perfectionism, and being different. These are the very issues our kids face each and every day in school (and life, in general), and it’s my hope that you and your kids find these books to be as inspiring as they are entertaining. 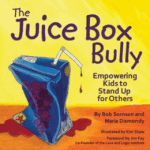 Written by Bob Sorenson & Maria Dismondy, this fantastic book gives kids an accurate picture of what a bully is and why a bully does what he/she does. In this book, Pete, a new kid, is mean to everyone. When he acts out toward one of the girls in the class, the other students stand up to him. I love the fact that the author gives a little bit of the bully’s backstory to help kids understand WHY some kids behave the way they do. Also, I appreciate how the students in the story stand up TO the bully, but then how they turn around and stand up FOR him when someone wants to treat him badly. It just underscores the fact that our treatment of others matters. This book makes me so happy! The illustrations are fantastically silly and over the top. But, the theme of loving yourself for who you are is utterly timeless. 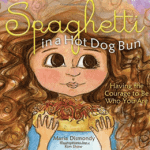 This book was written by Maria Dismondy, the author who co-wrote The Juice Box Bully, and is a wonderful book about self-confidence and being yourself. Lucy is one of a kind and has always been proud of that fact. However, when faced with the opportunity to embarrass the boy who has been making fun of her uniqueness, she chooses to do the right thing. 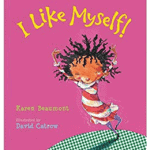 I love the fact that this book encourages kids to have courage to be who they are without making apologies for their uniqueness! I also appreciate how the author spends time developing a story that will speak to the heart of our kids. Written by Patty Lovell and illustrated by David Catrow, who also illustrated I Like Myself, this story is such a delight! Because her grandma has always been such an encouragement to her, Molly Lou Melon has confidence in herself. She embraces the fact that she isn’t the best at everything, but when she moves, she faces a new challenge. A bully! 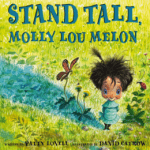 However, in typical Molly Lou Melon style, she uses the bully’s mean comments to showcase her individuality. This book is so much fun to read and the illustrations are greatly entertaining. However, it addresses the importance of believing in yourself and not allowing the unkind words of another dictate what you can and cannot do! 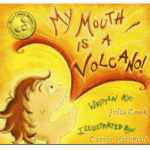 This book, written by Julia Cook, is a funny story about a little boy who has difficulty managing his thoughts without interrupting. Every thought he has is very important to him, and he wants to tell these important thoughts as soon as he has them. Unfortunately, this causes him to “erupt” (or interrupt). However, when starts getting interrupted by others, he begins to learn the importance of waiting his turn. I love the play on words with “erupting” and “interrupting” throughout the story. But, more importantly, I appreciate the way the author describes how it feels inside to have something so important to say that just you can’t keep it in! I genuinely believe your kids will be able to relate to this story and learn what it means to wait their turn. 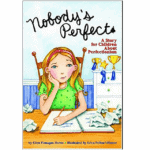 Written by Ellen Flanagan Burns, this book follows Sally…a perfectionist. Her opinion is if she can’t be the best, she is an absolute failure. She struggles with procrastination, comparison, and avoids new things for fear of failure. By the end of the story, she discovers just being herself is the more important thing that always being the best. This is actually a small chapter book, and is longer than any of the others on this list of Back-to-School books. However, it’s a REALLY great book to confront this issue. If you have a child who struggles with perfectionism or performance anxiety, you need to read this book with them. Take the time to talk through the issues Sally faces and discover opportunities to have conversations you’ve never had. As you’ve probably figured out, I am all about entertaining illustrations! And this book by Saxton Freymann & Joost Elffers embodies hilarity in picture form. 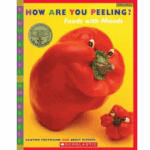 Using fruit and vegetables, the authors do a magnificent job of showcasing all the different feelings and emotions kids experience. This book has been a favorite of my boys (and every other child I’ve ever read it to) for years! While the topic is just as important as every other, this book is more of a springboard for talking about feelings and situations that evoke those emotions. Trust me, your kids will adore the funny fruits and vegetables and this will become a frequent read-aloud! Of all the books on this list, this is the most familiar. 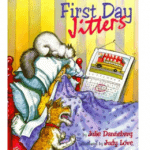 Written by Julie Danneberg, it speaks to the “jitters” everyone has on the first day of school. Each one of us has experienced the multitude of emotions surrounding back-to-school, and this is no exception for Sarah Jane! When awoken for her first day at a new school, she gives every excuse why she shouldn’t have to go. She freely expresses her fears of no one liking her and not making any friends. This is so relatable for adults and kids alike. And while the whole story is a joy, the surprise ending will have you and your kids laughing out loud! Out of these ten Back-to-School books, I think this one is my favorite! The last two books I’m sharing are both about names and how our names can create difficulties for us. In this book by Yangsook Choi, the main character, Unhei has just moved to America from Korea. She is nervous about making friends and this is made even more frustrating when she is asked her name on the first day of school. Determined to pick a new name, Unhei tells the kids that she will pick a name by the next week. To help her find a name she likes, the kids start placing random names on small sheets of paper in a jar on her desk at school. 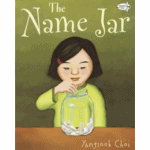 On the day she is supposed to choose her name, the jar goes missing. With the help of her friends, she discovers the importance of names. This book is absolutely precious and will help your kids be aware of the challenges faced by children from different ethnic backgrounds. This one is a classic! It’s another story based on the frustration a little girl has with her name. Chrysanthemum has always loved her unique name until a little girl from school makes fun of it. This causes her to feel very inferior and embarrassed. However, with the help of a very special teacher, Chrysanthemum learns to love her name again. This book was written by Kevin Henkes and is a true delight to read. 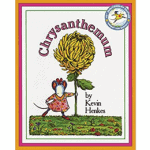 Through the experiences of Chrysanthemum, kids will learn how unkind words can hurt others and how kind words can heal. Another one of the Back-to-School books that receives 2 giant thumbs up from me!! This is bound to be on your “Family Favorites” list. The best part about these 10 unconventional Back-to-School books is that they each deal with deeper issues. They introduce and encourage conversations about topics that our kids face in real life…not just during Back-to-School season. I hope you’ll take the time to read at least a couple of these amazing books to your kids before they start back to school. They are genuinely beautiful books that address REAL issues in a very relatable way. Now, before you run off, be sure to visit my amazingly talented blogging friends so that you don’t miss any of the “Back to School” fun and freebies! I love all these choices! I always Chrysanthemum to my kinders during the first month of school. you had me at trapper keepers! 2nd grade. i can still remember my mom getting me one even though it wasn’t on the school supply list! i cannot wait to read ALL of these books to my kiddos. i am getting on the library site now and placing a hold on them. we are already huge fans of FIRST DAY JITTERS. such a surprise at the end. thank you for doing the research and putting together this list so that i can enjoy these with my kids. you are a wealth of knowledge! !